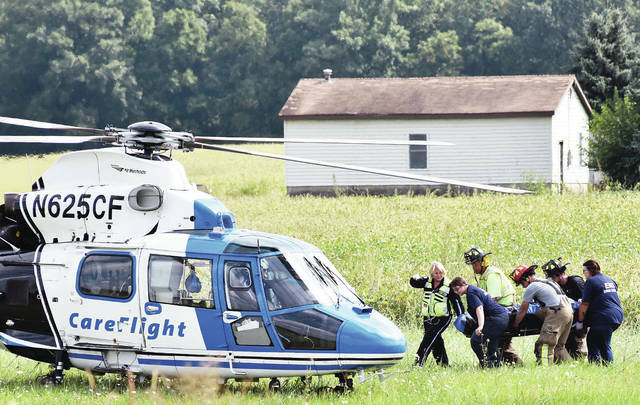 A person involved in a one vehicle accident on the 14000 block of Lock Two Road around 11:30 a.m., is taken by stretcher to a waiting helicopter. The accident involved a one vehicle rollover. 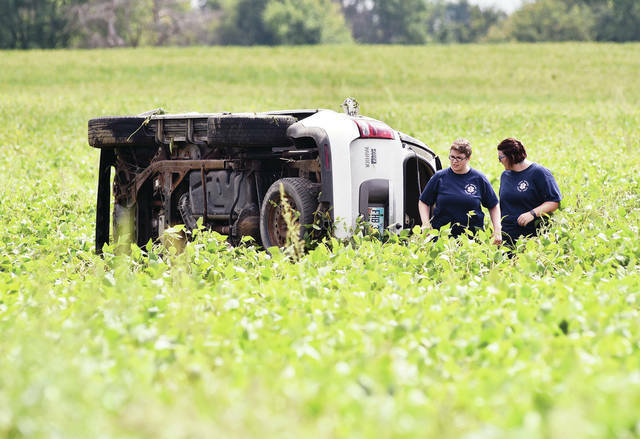 Two Anna EMS workers walk away from a one vehicle rollover that landed in a soybean field on the 14000 block of Lock Two Road around 11:30 a.m.. 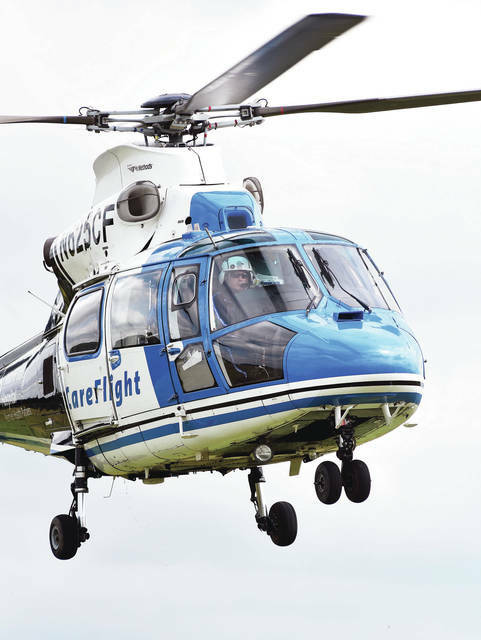 The person driving the vehicle was taken by Careflight from the scene to the hospital. Botkins firefighters, Botkins Police also responded. The Shelby County Sheriff’s Office is investigating the crash.